Wordbird is thrilled to have its work for Allergan recognised in the fiercely competitive ‘Innovation’ category at last night’s PM Digital Awards. 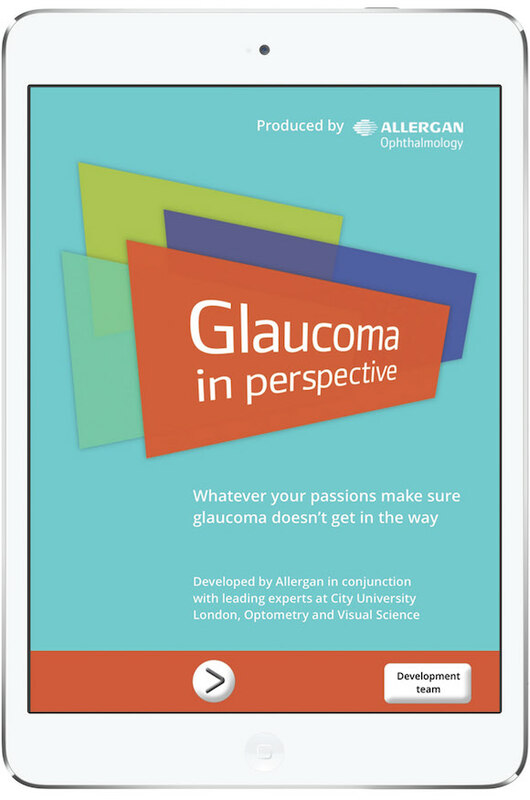 Allergan’s Glaucoma in Perspective app, created by Wordbird and City University London was awarded a silver Craft Award by judges. When consultation time is limited, it is hard to convey this information, especially since existing material is often scary, complex or inaccurate. The key innovative feature of the app is an interactive demonstrator that lets patients ‘see’ how glaucoma subtly affects vision - in a way that usually isn’t noticeable until it’s too late. Although simple for patients, the demonstrator uses an advanced code-base developed by computer scientists at City University’s Crabb Lab. Patients and their relatives can play with different scenarios to get an idea of how glaucoma might be affecting them – and what could happen later on. This innovation is important because patients are more likely to adhere to glaucoma medication if they understand the disease and the rationale for treatment. The apps are now launched in five countries, with more launches planned. “We’re pleased to have been awarded silver for our work on Glaucoma in Perspective. We think every aspect of this project was innovative from the content to the creative collaboration of industry, academia and agency. To be recognised in such a fiercely competitive category is a proud moment."